In a victory for free speech, the Glen Ellyn, Illinois, school board reversed course, rescinding a ban on acclaimed novel Perks of Being a Wallflower! With a vote of 6 to 1, the Glen Ellyn school board returned the book to classrooms, thanks in large part to a grassroots campaign that garnered the support of students, teachers, parents, and even bestselling author Judy Blume. By signing a letter of support and promoting a letter writing campaign on behalf of the book, CBLDF and its supporters added their voices to the cacophony of people who wrote letters, made videos, and contacted the Glen Ellyn school board to oppose the ban. The school board meeting, which took place Monday night, was packed with students, teachers, parents, and other members of the Glen Ellyn community. Most were there in support of the book. While at Printer’s Row, Blume won the Chicago Tribune’s Young Adult Literary Prize. Blume pledged to donate the $5,000 prize to the National Coalition Against Censorship, a frequent CBLDF collaborator in the fight for the freedom to read. The Perks of Being a Wallflower has been widely praised for its candid treatment of teenagers, touching on topics such as suicide, sexual abuse, homosexuality, masturbation, and drug use. These topics have also led to widespread challenges of the book, frequently putting it on ALA’s annual list of the most challenged and banned books. A few weeks ago, the school board in Glen Ellyn, Illinois, voted 4-2 to remove The Perks of Being a Wallflower from district classrooms despite the resounding recommendation of a review committee that the book be retained. The removal of the book drew the ire of free speech advocates — including CBLDF — and teachers, students, and parents throughout the district. The National Coalition Against Censorship instigated a letter-writing campaign on behalf of The Perks of Being a Wallflower. One set of parents called for the removal of the book from Glen Ellyn classrooms, despite the fact that it is not required reading and their daughter was allowed to stop reading the book because it made her uncomfortable. In reinstating the board, the school board rightly chose the freedom to read over censorship. 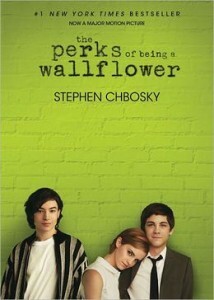 The retention of The Perks of Being a Wallflower in Glen Ellyn is a victory in the fight for the right to read! Please help support CBLDF’s important First Amendment work by making a donation or becoming a member of the CBLDF!